Want irresistibly smooth, fair and glowing complexion? Then dive into this luxurious smelling chocolate face packs to see how your dull, sagging and lifeless skin turns into a beautiful and glowing complexion. Chocolates are packed with flavonoids, powerful antioxidants and omega-6 fatty acids that fight free radicals, tones and firms wrinkled skin and reduces the appearance of large pores.They are also good source of minerals such as magnesium, copper, calcium, zinc and vitamins A, C, E ,B1, B2 and B5 that helps protect the skin against sun damage, boost collagen production, revive sluggish skin and restores skin radiance leaving your skin young and beautiful. These deliciously rich chocolate face packs are enriched with nourishing ingredients to give your skin a youthful and radiant glow.To prepare these chocolate face packs you can use ready-made chocolate or chocolate powder. 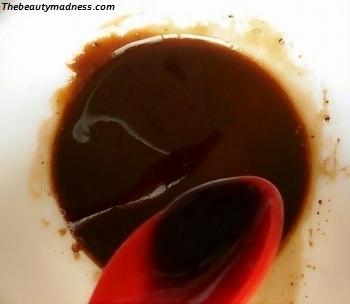 To prepare, mix equal quantities of chocolate powder and multani powder using 4 tablespoon of orange juice.Wipe your face with cotton dipped in rose water and then apply the face mask.Leave it for 20 minutes and then wash your face with cool water.This face pack adds radiance and glow to your skin, refine skin texture and help lightens skin complexion. Multani present in this face pack absorbs excess oil and instantly cleanse your face.Vitamin C and antioxidants present in orange juice gives your skin a brighter and a fairer complexion.This is a best face pack for oily and normal skin types.People who have a dry skin can use milk instead of orange juice. 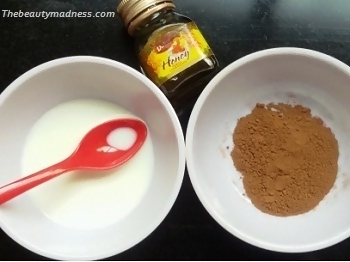 Take 2 tbsp of chocolate powder in a bowl, add 1 tbsp of honey and 4 tbsp of milk.Mix it to form a smooth paste.Before you apply this mask, steam your face to open the pores.Now apply two layer of this pack on your face and neck.Allow the face pack to dry for 30 minutes and then wash your face with cold water.This is an excellent chocolate face pack for dry and rough skin.Enriched with the goodness of milk, honey and chocolate this face pack rejuvenate and smoothes your facial skin, provides intense nourishment and enhances your skin tone.For best results you can use this pack every alternate days. 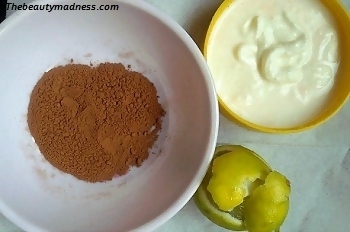 Use any left over lemon peel, bake at a low temperature for 3 minutes and then grind to form powder.Prepare the face mask by mixing this powdered lemon peel with chocolate and yoghurt.First cleanse, steam your face and then apply this face mask.Allow this pack to stay for 30 minutes and then wash your face with lukewarm water.If your skin is oily then it is likely to suffer from acne, pimples, blackheads and whiteheads.This face pack is effective to fight excess oil secretion caused by the sebaceous glands and restrains the growth of bacteria that causes acne and pimples.It leaves the skin fresh, oil-free and radiant. 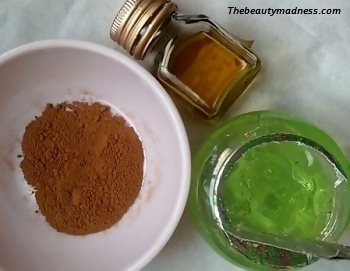 Mix 1 tbsp of aloe vera gel, 2 tbsp of honey and 1 tbsp of chocolate powder.Apply the paste on your face and gently massage for 2 minutes.Apply some more and leave the pack to dry for 15 minutes.Wash your face with lukewarm water.This face pack reduces the appearance of dark spots, sun spots, acne and pimple scars, improves blood circulation thus making your skin look flawless and smooth. 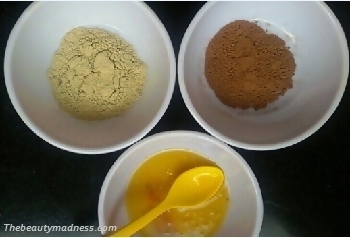 Break an egg and separate the egg yolk and egg white into two different bowls.Take the bowl that contains the egg white, add 2 tbsp of chocolate powder and mix it well.Steam your face to allow the pores to get opened.Now apply the face mask and leave it for 20 minutes.Wash your face with warm water and then apply some moisturizer.This anti ageing face mask tightens your skin and shrink the size of the pores, reduces the appearance of fine lines and wrinkles and pull out pollutants from your skin pores.Egg white present in this mask firms your skin and repairs skin cells.